Assorted box of 6 titles: NO DAIRY, NO GLUTEN, NO NUTS, NO WHEAT, NO EGG, NO FISH. Dietary awareness stamps are practical for teachers and parents to constantly communicate children's dietary needs. With the impression of the dietary stamps, the information concerning food intolerances cannot be missed. 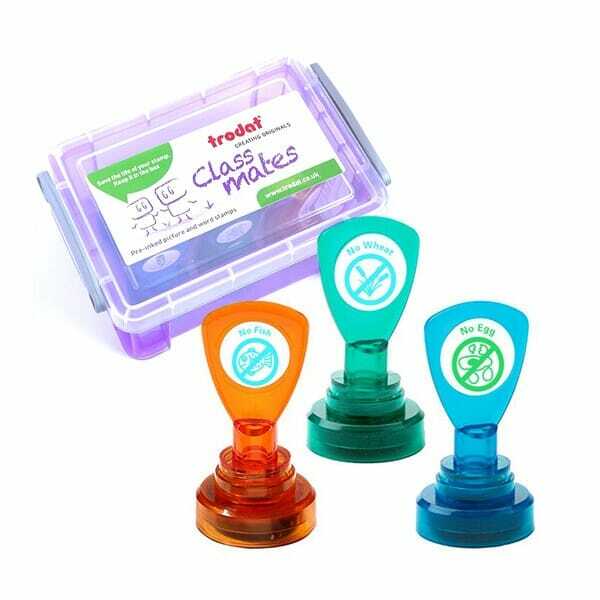 Customer evaluation for "Teachers' Stamps - Box "Dietary Awareness""